The manual of the BG-Sentinel. The manual of the new BG-Sentinel 2 in English. The manual of the new BG-Sentinel 2 in French. The manual of the new BG-Sentinel 2 in Spanish. The manual of the new BG-Sentinel 2 in Italian. The BG-Sentinel product line . The literature list on the BG-Sentinel, with articles in peer-reviewed journals, presentations on scientific congresses and similar publications. Our online-database with publications on studies using the BG-Sentinel , hosted at zotero.org . The literature list of the scientists at Biogents who developed the BG-Sentinel. 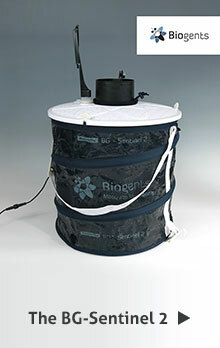 A pdf-file of a presentation on mosquito monitoring using the BG-Sentinel with carbon dioxide (5 mb). Our list of open access journals for the medical and veterinary entomologist. Look for the latest abstracts of biomedical articels at PubMed. The European Mosquito Control Association, EMCA, with its free online journal, the Journal of the European Mosquito Control Association. The Society of Vector Ecology. Their Journal of Vector Ecology is available online for free as well. The American Mosquito Control Association, AMCA. There is no free online access to their journal. The German Society of General and Applied Entomology (Deutsche Gesellschaft für allgemeine und angewandte Entomologie, DGaaE) - their official journal (Journal of Applied Entomology) is not open access, either. The Division of Vector-Borne Diseases of the Centers for Disease Control and Prevention of the United States. The Emerging and Vector-borne Diseases Programme of the European Centre for Disease Prevention and Control. ProMED-mail: the Program for Monitoring Emerging Diseases provides you with the lastest information on health threats to humans, animals and plants worldwide, including invasive vector-borne diseases like Dengue or Chikungunya. Biogents' homepage. Besides building highly efficient mosquito traps, we also perform contract research and development on mosquito repellents and similar products. 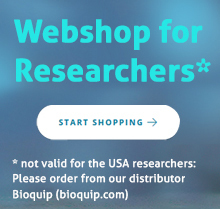 Biogents' webshop, where you can buy other Biogents products. But do not hesitate to contact us directly if you are interested in the BG-Sentinel for specific scientific studies or public health purposes. The MCD project is funded by the EU and aims to develop a Mosquito Contamination Device that effectively lures, infects and contaminate malaria mosquitoes. As a member of the reserach consortium, Biogents focuses on attractive stimuli that can be used in such a device.